According to statistics, demand for a remote personal assistant is on the rise. We all want to be doing more with the time we have available. Remote personal assistants are a great way to make our time stretch out and wrap around lots more tasks that just aren’t possible in a regular day. You only have to do a quick Google search to see how personal assistants help with improving entrepreneurial ability and even personal tasks like organising childcare and Doctor’s appointments. So how do you go about hiring one? To get off on the right foot, begin by asking why you need a virtual assistant. Here are some ideas to get you started. Whether it’s to give you more time, remove the tasks you don’t like doing or help you to grow a new business idea, starting with why will help ensure you hire the right personal assistant for you. Here’s a common scenario: overworked entrepreneur decides she needs a PA. Hires one, but is then far too busy to delegate any tasks to them. Instead, her inbox fills up with a series of emails saying “Hey, can we get started? Which tasks can I help you with?” which then becomes an endless guilt trip of another thing she hasn’t yet found the time to do. You know how to avoid this? Start a list of everything you want your remote PA to do for you. This can just be a quick notes page on your phone or laptop. Every time you think of something that’s repetitive, annoying or really-important-can’t-be-forgotten add it to your list. This will give you a great base for hiring the perfect person, and having a list of jobs for them to do from the off. If you need some ideas to get you started, check out this list. Using comparison sites such as Upwork, you can browse lots of different PAs who are registered with the system. With these types of comparison sites you will see just how much a personal assistant’s hourly rate can differ. Anything from $10 per hour, up to $50 may all be the norm. Usually sites such as Upwork also take a cut of the payment, so some personal assistants using the service may charge a little more than what their direct rate would be. These types of hiring websites are best if you want to compare lots of different PAs, or you want a one-off job completed quickly. To cut out the middleman, there are lots of remote PAs who will allow you to hire them directly. The benefit of this is that neither of you pay any extra fees other than for the work that is delivered. The downside is that a good remote PA can be really difficult to find and you may have to put them in action to see their skills. There’s also no safeguard between you and them, so if they suddenly go off the radar, or don’t complete the work you require to a good enough or agreed standard, it’s down to you to manage it. In our experience, a remote personal assistant is an area where you really do get what you pay for. It’s why we started ibLE, a way for entrepreneurs and companies to hire a personal assistant who’s already been vetted by our team, without having to actually hire them. In our case, this means paying an initial one-off £250 registration fee. However the benefit is that we know all of the PAs personally and therefore can match you with the right PA for your requirements. This saves time interviewing and checking out their credentials. It also means if you aren’t happy or would prefer a different service, you can swap out your PA easily. 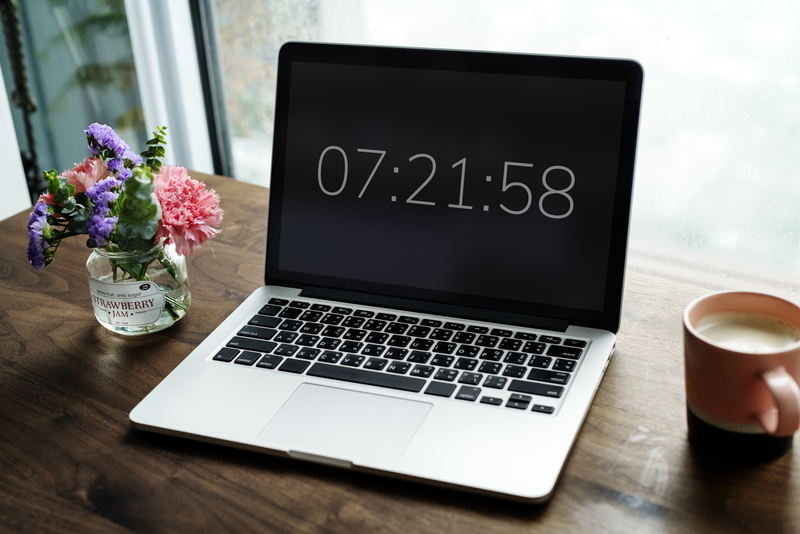 Lastly, you only get billed in 5-minute increments so we really do make every minute count, which is often the worry when hiring any remote member of staff. This is the hiring step where you may wish to conduct an interview with your potential PA, or just ask them some initial questions to get started. This could be about their previous experience, their current methods of working and also their values and behaviour, which are often more effective than recruitment-type questions based on qualifications or past experience. If you have any niche requirements this is the time to bring them up, and it’s a good idea to explain your preferred methods of working so that you can ensure your compatibility. Here’s a secret: when you speak to a good remote personal assistant it may sometimes feel like they’re interviewing you after you’ve finished interviewing them! This is the sign of a PA who wants to get under the skin of how you work and what you need, so that they can better cater to you. You’ve now chosen your PA, you’ve had an initial conversation with them and things are looking good! So how do you get going? This is where you need to set up your initial processes. Often, you’ll need a tool to help. This could be as simple as choosing to communicate over Whatsapp, or using a tool such as Trello or Wunderlist to set tasks. If you do struggle to delegate, read this guide to help you get started. Are you ready to hire the perfect remote personal assistant for your life and work? For flexible and invisible personal assistants who can change your life (it’s not an exaggeration) register with ibLE today.